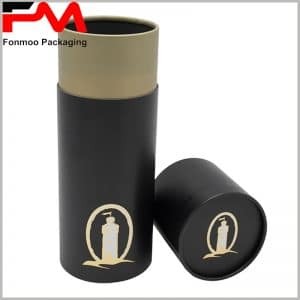 You may be in need of something special, such as this custom and unique jewelry tube packaging box with velvet, designed especially for composed packaging solution for a series of different jewelries, to achieve a certain goal such as satisfying your very demanding customers who need a solution for a whole lot of jewelries. This box is made from 250g eco-friendly cardboard covered by red velvet tissue, simple but very elegant and classic choice for jewelry packaging; but the very special and impressive feature of this box is that it has a composed design for containing multiple jewelries in different places. Such as necklace in the center and rings in the rear, a wonderful design for packaging solution of a set of jewelries. You might be attracted by this packaging box and want to have such one but with modification to suit your own demand. Just talk/write with us and tell us your needs. Our team combining designers, technicians and commercials is stand by to quickly respond to your needs of your custom and unique velvet jewelry composed tube packaging box.